The Blue2BGreen resources are aimed at middle school students but could easily be adapted for younger or older age-groups. They are designed to create a connection between learning in the classroom, the work of scientists, and issues of relevance to communities. The BioProtection Research Centre will connect with schools to hold discussions and answer questions via LENScience Connect. These resources are designed to support learning for 11-14 year olds, linked to the New Zealand Curriculum. They facilitate exploration of the issue of sustainable food production and the use of pesticides and oil-based fertilisers in agriculture. Teachers could easily adapt these resources for younger or older students. In exploring this context, opportunity is provided for students to develop understanding of concepts of science, the nature of science and the process of science. Exploration of the work of scientists from the Bio-Protection Research Centre involved in the Greening Waipara Project provides opportunity for insight into the culture of science. 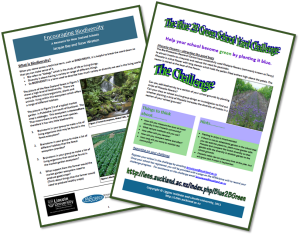 communicate their work within their school and local community and make recommendations about the potential for application of the scientific evidence they have been exploring within their school, home and local community gardens. The learning experiences are designed to support students to use science knowledge and understanding, alongside key competencies and values to explore their own ideas about how individuals, communities and society could respond to the challenge of sustainable food production. The investigations suggested in this mini-module offer an opportunity for a longitudinal study within the school that is added to each year. This connected learning offers further opportunity for students to experience the nature and process of science. Direct access to the Bio-Protection Research Centre team is provided to schools and students through the LENScience Connect Community. The learning experiences provide extensive potential for the development of cross-curricular collaboration with mathematics, the social sciences, art and languages. The Greening Waipara Research Project is a collaboration between scientists from the Bio-Protection Research Centre and almost 60 North Canterbury wineries. The project is about adding value to the production in the vineyards through ecological approaches. By encouraging nature's services through planting to provide increased biodiversity as well as mulching, the project offers improved pollination and pest and disease control, as well as weed suppression, improved soil quality, conservation and eco-tourism. For example, one strip of buckwheat planted every ten vine rows can save $250/ha/year in pesticide and labour costs and under-vine mulches can bring botrytis levels below the need for spraying, saving a further $750/ha/year. 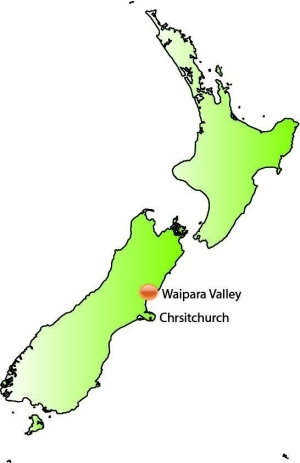 The success of the programme is reflected in the fact that all vineyard regions in New Zealand and Australia are using the Greening Waipara buckwheat protocols. In fact, as a result of this New Zealand ran out of seeds of this plant in late 2009! Blue 2B Green - Students, teachers and scientists.